Pink Lemonade : Giveaway!!! Beautiful Book! Author Kim Smith has generously offered her stunning book as a giveaway on Pink Lemonade! 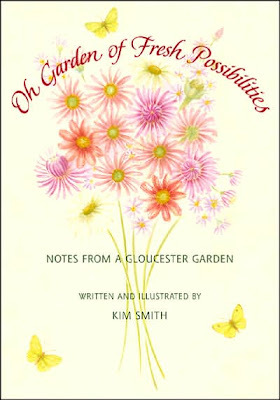 The book is filled with Kim's own lovely illustrations, tips on how to create an enchanting garden, inspirational quotes as well as captivating poetry and it is truly spectacular. Her cover had caught my attention at the Book Expo in New York this past spring and I was completely enchanted as soon as I opened it! Kim lives in Gloucester , Mass., one of my favorite seaside resort towns. I will have the opportunity to meet her Labor Day weekend and hopefully see her stunning garden! Please leave a comment for a chance to win! The winner will be selected randomly upon my return from vacation in two weeks. Hi there! I'd love to win this book! Just the cover alone makes me want to leaf through this book! I hope you'll take pictures of her garden and share them with us. What a generous give-away! The book sounds wonderful. I will wish myself good luck in the drawing!! Ohhh this is GORGEOUS!!! thanks for giving this away, and thanks for leaving the sweet comment on my guest blog post on the English Muse! 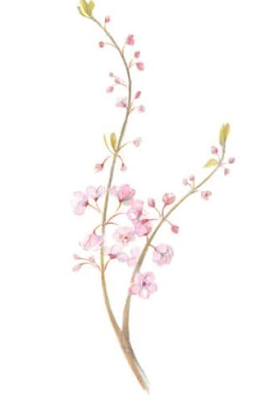 There's nothing more beautiful than a book that blossoms into beautiful flowers such as this one by Kim Smith! My mother would love this book. She is always in her garden reading and I would like to give her this book if I win. I would love to win this book and share with my daughter. She loves flowers, gardening and art. Thanks for the chance to win! Looks like a lovely book! Would love to win! One can NEVER have too many books about gardens! Each offers an opportunity to learn at least one new thing or be reminded about something forgotten.